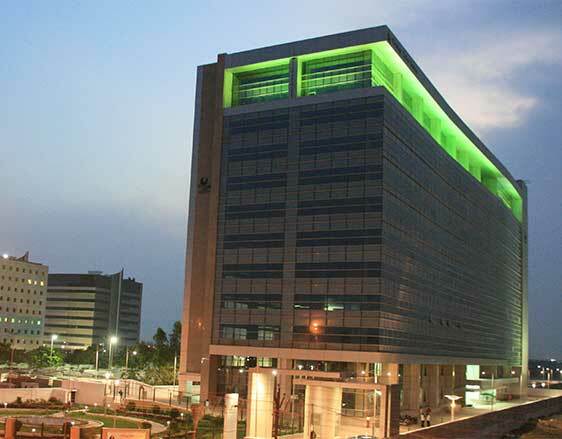 JMC Projects is a renowned construction company under Kalpataru Group, a reputed transnational conglomerate, with transnational operations. 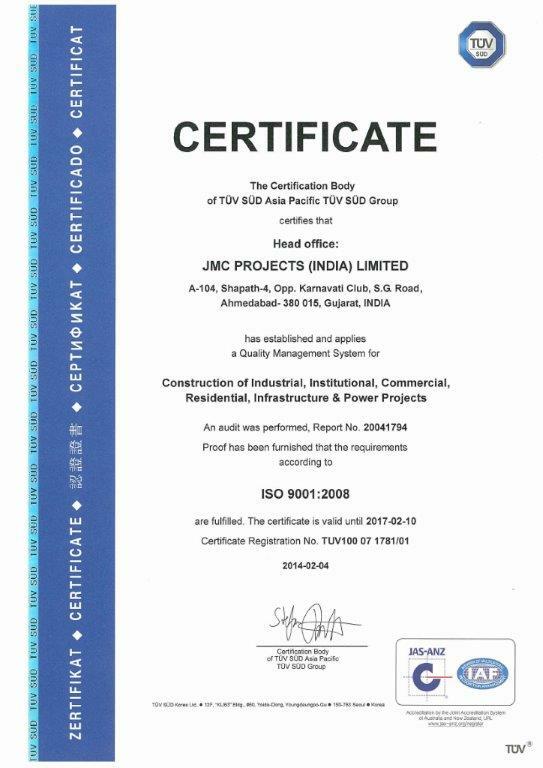 A balanced fusion of consistent pursuit for quality and on-time delivery, sensitivity towards customer needs has enabled JMC to attain and sustain a respectable position in the construction industry. Proven track record of customer delight through completing projects within the stipulated time, adhering to all quality requirements is an insignia of JMC™s services. With a strong workforce of 3000+ professionals supported with technology and an inspiring work environment, JMC collaborates with all stakeholders and creates a win-win situation for our customers and end-users. The company's capabilities span the entire gamut of construction civil & structural, mechanical, electrical and fire-fighting engineering etc. for all major industries and project types. Having strong commitment towards the safety of the people it interacts and has dealings with; every JMCian takes all necessary precautions to warrant safe & sustainable future for all stakeholders. 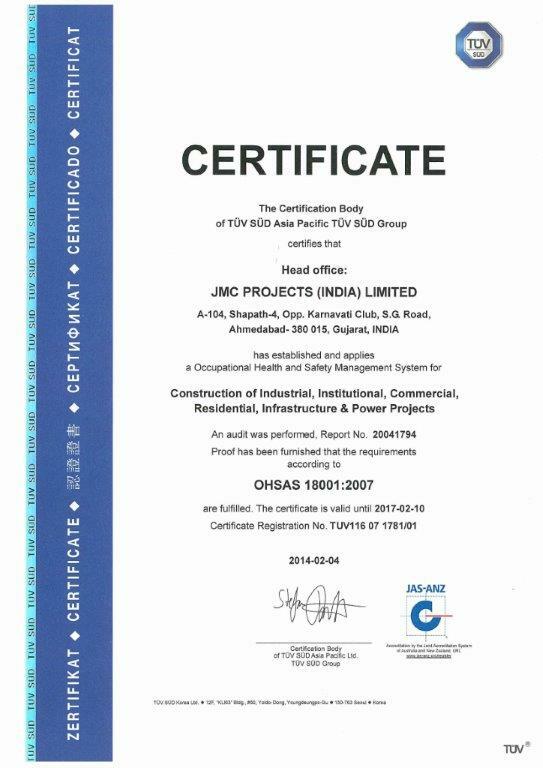 It is one of the few construction companies in India, certified under ISO 9001:2008 (Quality Management), ISO 14000: 2004 (Environmental Management) and BS OHSAS 18001:2007 (Occupational Health & Safety). 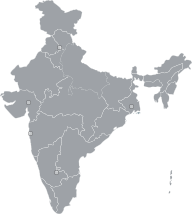 Armed with the technological expertise and process driven approach, JMC can take up any challenging project with Regional Offices located in Bangalore, NCR Delhi, Kolkata and Mumbai. 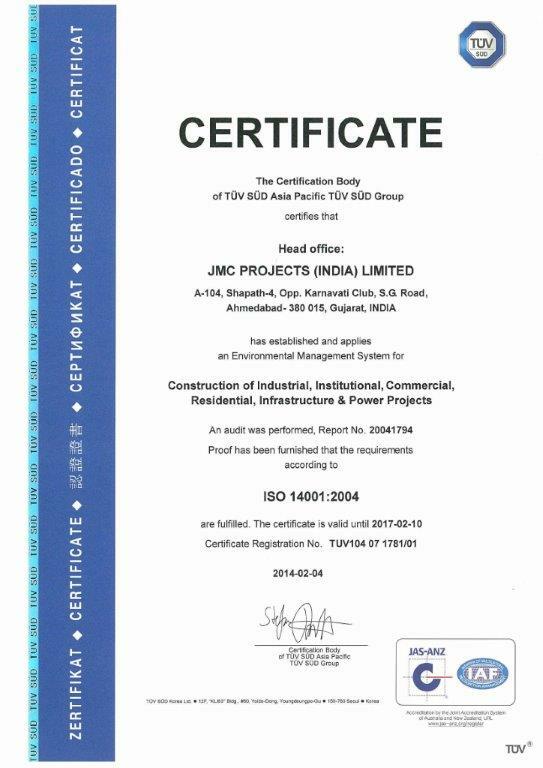 Mumbai office also hosts as JMC™s Corporate Office, while Registered Office is still in Ahmedabad, being the founding city.